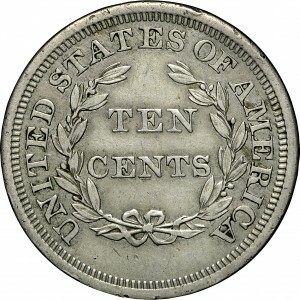 This pattern is from the same obverse die as “large cent” patterns, struck in nickel and copper. 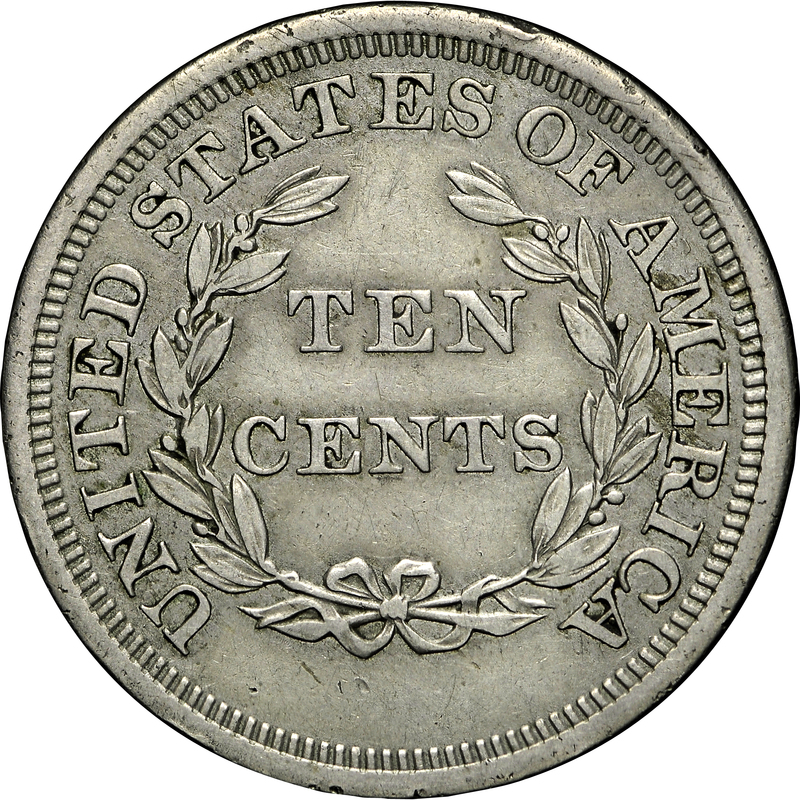 Perhaps related to the coinage proposal of Congressman Kelley, as explained at HBCC-6067, this pattern would have been prepared to indicate the size and weight of ten-cent coinage in nickel. Weights of known examples of all four proposed denominations, all of nickel composition, indicate inconsistency in the weight standard. One-cent patterns average 23.5 grains, three-cent examples average 45.2 grains, five-cent pieces average 79.5 grains, and these ten-cent coins average 153.9 grains. Essentially, the one-cent patterns should have weighed about 15 grains. Purchased from Brinton T. Schorer, May 3, 1973, via Michael G. Brownlee and Goliad. 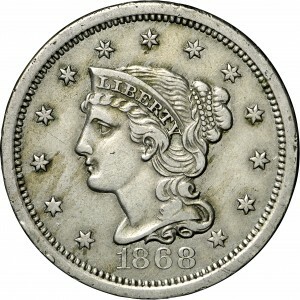 Virtually identical to the Liberty or Coiled Hair large cents of 1843-1857, but dated 1868. 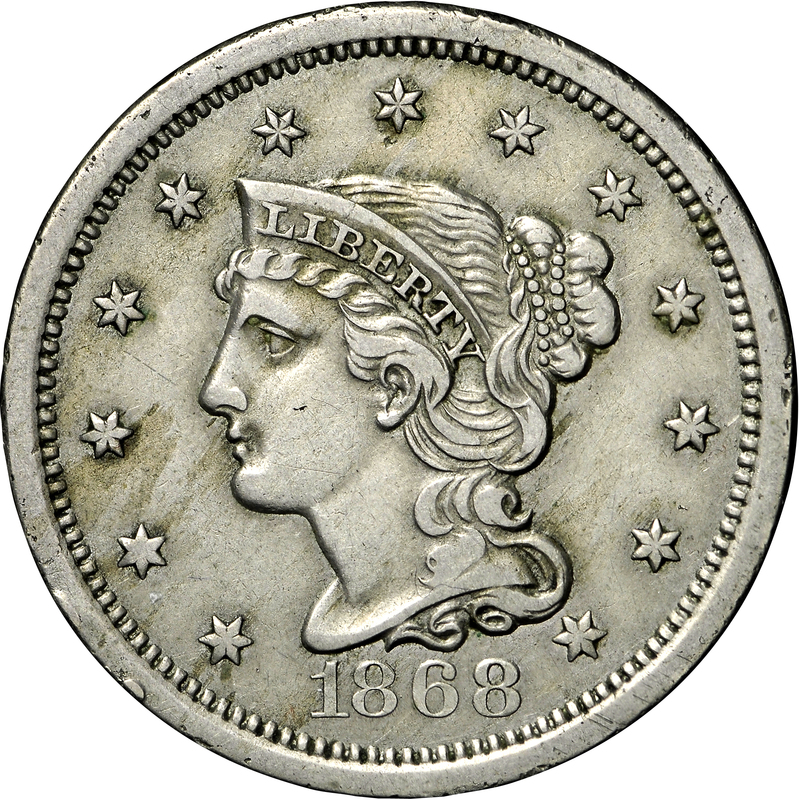 Somewhat similar to the large cents of 1843-1857, but with TEN CENTS on two lines within a laurel wreath.